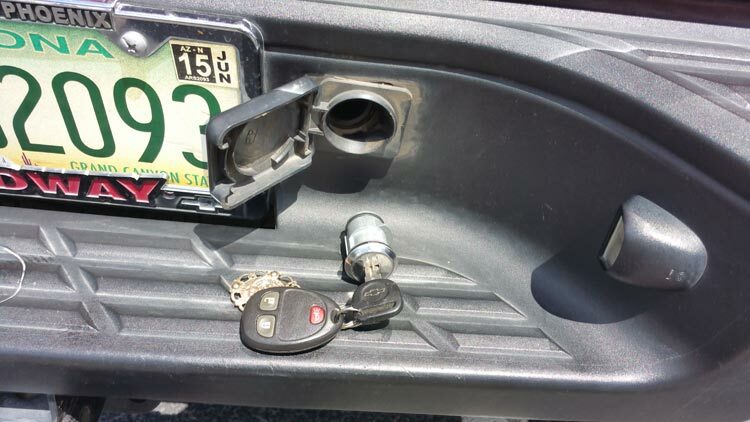 A customer broke her key off in the ignition of a 2002 Hyundai Sonata off of 40st & Mcdowell in Phoenix. 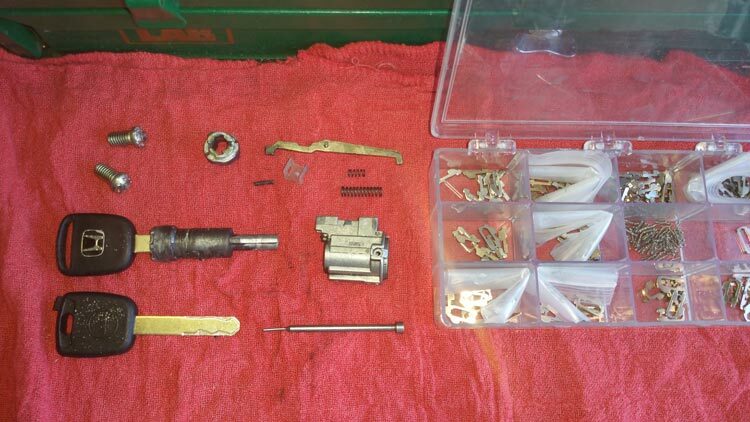 Instead of immediately calling a Phoenix mobile locksmith he asked his dad for help, but not having the proper tools the ignition was subsequently destroyed in the process of trying to extract the key. When they realized they needed a professional Phoenix mobile locksmith we were able to arrive within 30 minutes to access and repair the problem. Luckily I had a spare Hyundai Sonata ignition and I was able to remove, repair and rekey the ignition to match the doors on the spot. The customer was able to save hundreds of dollars since the only place these ignitions can be purchased is the dealer. If you have a Hyundai Sonata or any car that is having key or ignition problems we can help save you money and time. 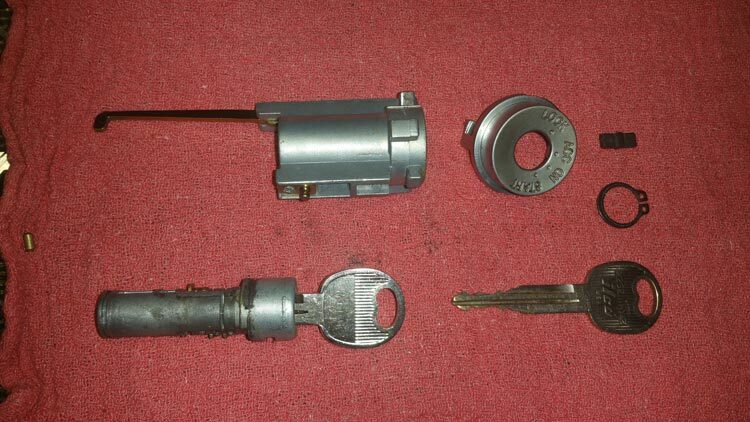 Turn Key Locksmith service offers professional auto lock services, lost key replacement and more. 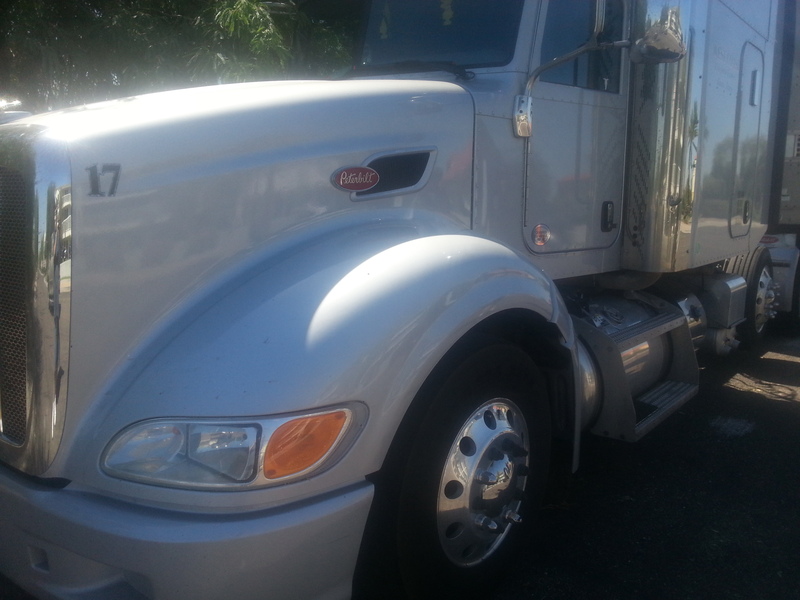 All the work was done on site and we got him back on the road in no time saving him money. As part of making Chevy Silverado Transponder keys we also do any programing that is needed and have remotes as well. One of our Phoenix locksmith customers with a 2004 Honda Odyssey. We are ready to help you. Call us at (602) 350-6333 or fill out this form and we will contact you.